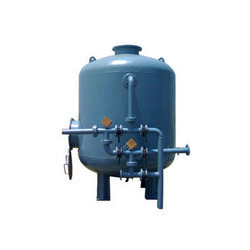 We are instrumental in manufacturing, supplying and exporting high quality Activated Carbon Water Filter. Our offered filters remove sand particles from the water of ponds, tanks and reservoirs. These filters have various capacities and containers to keep the filtered water. Clients can avail our range in variegated specifications at nominal rates. Looking for Activated Carbon Water Filter ?